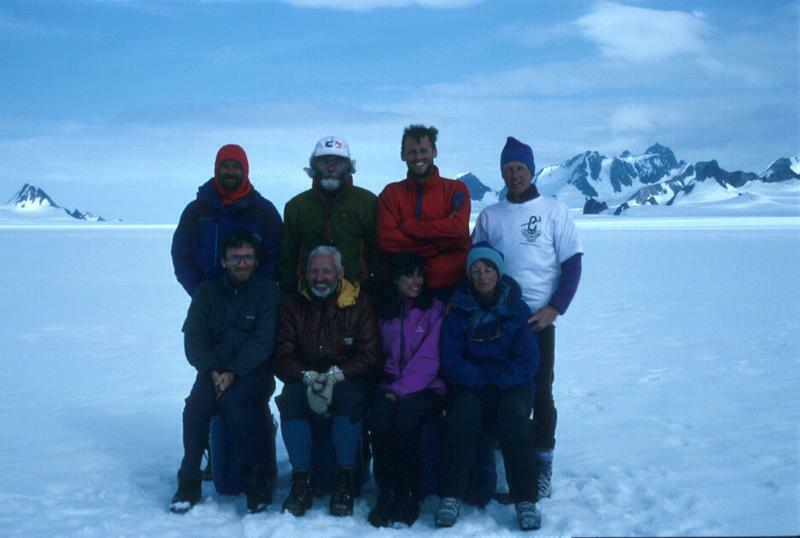 Karabiner MC: The KMC Greenland Expedition 1994. 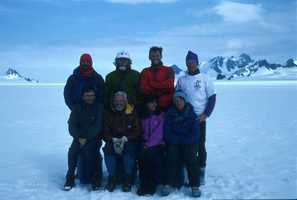 The KMC Greenland Expedition 1994. 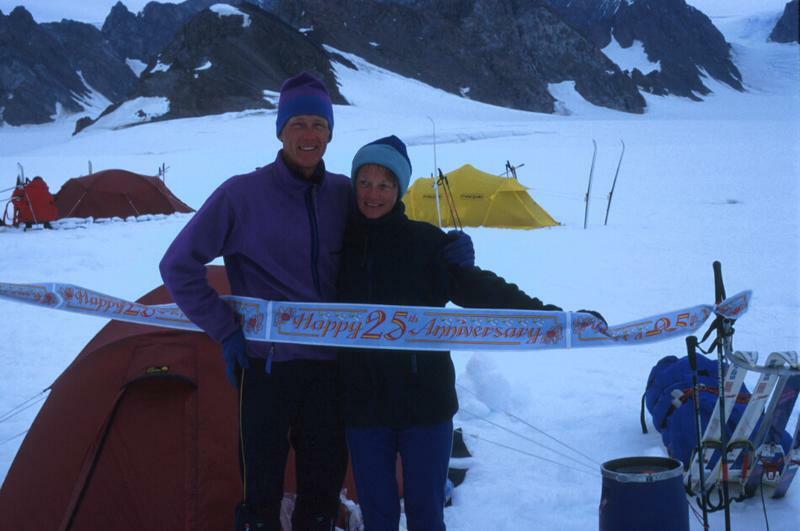 The expedition was organised as part of the 50th Anniversary celebrations of the Karabiner Mountaineering Club (KMC). 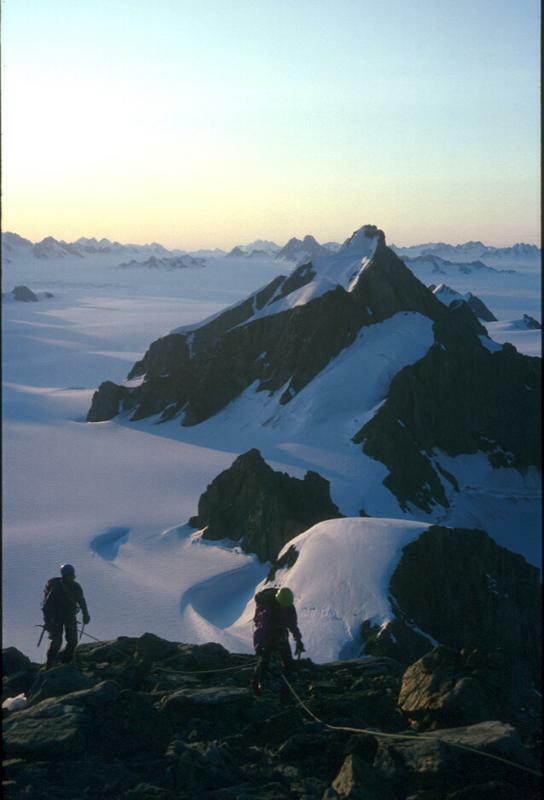 The original objective was a KMC ascent of Karabiner Fjeld (2000m), a peak in the Stauning Alps, East Greenland (71°38'N 24°59'W), first climbed by John Hunt and named after the Club during his term as Honorary President. Unfortunately this proved impracticable because of expense and logistics. 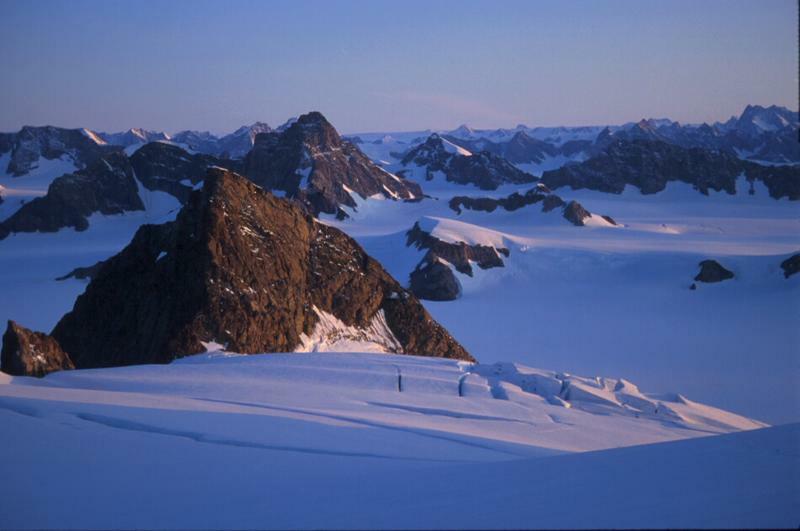 The Club therefore joined up with Tangent Expeditions to explore and make some first ascents in a little known area further to the South, in Schweizerland, which was accessible by chartered aircraft from Kulusuk, the airport serving the small community of Angmagssalik, which is the nearest habitation. 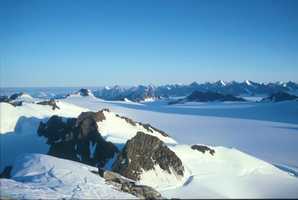 The approach from Kulusuk was by Twin Otter, with specially adapted under-carriage for landing on snow. 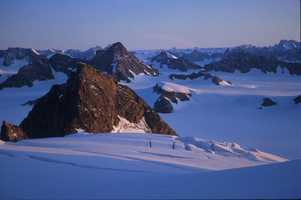 Travel on the glaciers was accomplished using nordic skis and equipment was transported by pulks (sledges pulled by people). 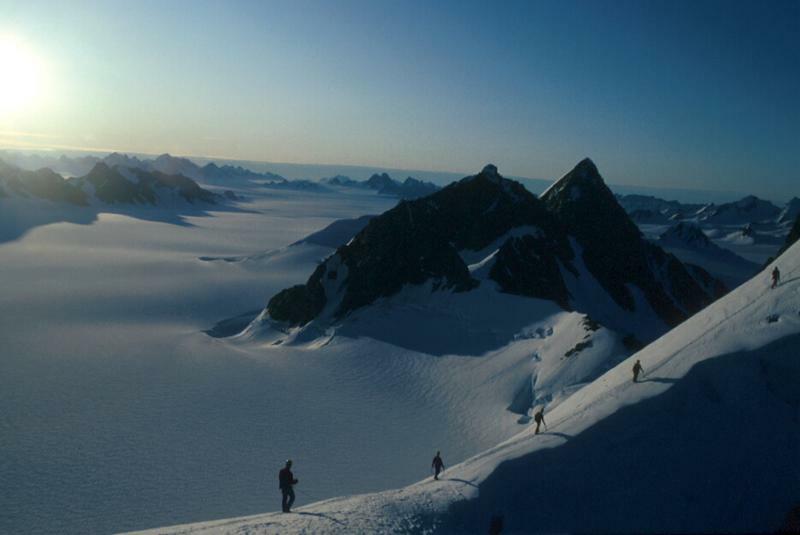 Skins were required for towing heavy loads, except on down hill sections. 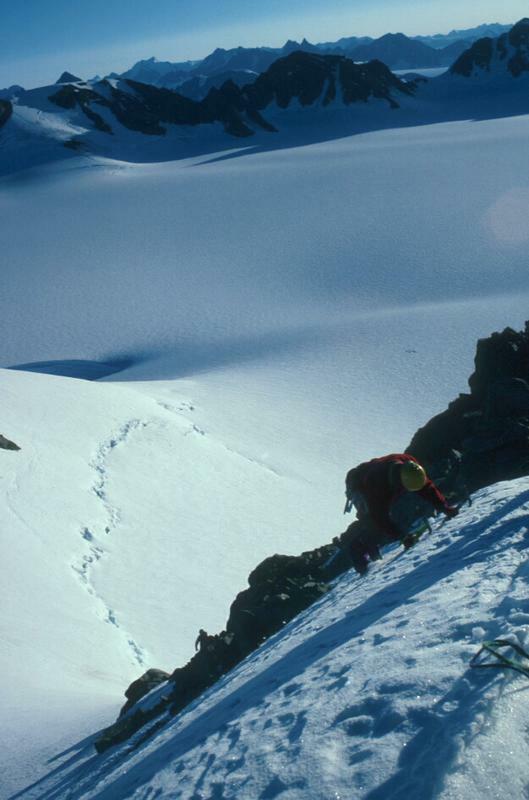 Steeper ascents were done using normal mountaineering gear. 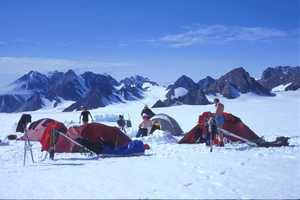 Travel was undertaken at night, as towing pulks becomes particularly hard work when the snow starts to soften in the Sun. 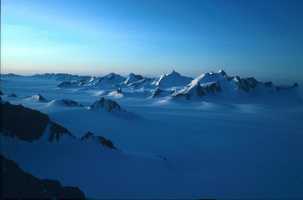 Usually, the summits were reached soon after the sun had risen over the horizon. Torches were not needed at that time of year, just North of the Arctic Circle, as the sun dipped just below the horizon for a few hours only. Base camp was established on the Pourquoi-pas Glacier at 66°40'N 35°49'W with subsidiary camps on un-named glaciers at 66°43'N 35°83'W, 66°41'N 35°35'W and 66°40'N 35°36'W, the latter position not even shown as a glacier on the maps available, but evident on aerial photographs, which tended to be more reliable for navigation. 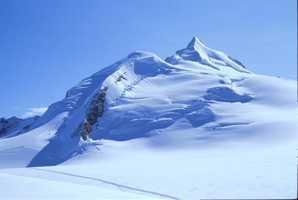 None of the peaks ascended have so far been named. Whilst positions could be determined reasonably accurately using maps, estimates of altitude were more difficult: GPS was not available. (Click on any picture to see the large version of it).